Kona Community Hospital (KCH) will be conducting a decontamination exercise on Thursday, August 26, 2010. The hospital will serve as the primary location for this event. The training will focus on the Healthcare Association of Hawaii Emergency Management Committee’s “Code Orange” which is activated when there is a Hazmat/BioTerrorism event. Objectives include establishment of the decontamination tent by those familiar and unfamiliar with the system, training of staff and others about disaster process to this specific scenario, and improve emergency preparedness systems including response process and time. Minimum exercise discussion will take place the morning of August 26 by the hospital’s Emergency Management Committee to limit participants’ ability to prepare in order for the hospital to fully evaluate training. At 10:30 a.m. on August 26, three volunteers will simulate being brought to the hospital via ambulance and soaked in gasoline. Two mock EMTs will also exhibit contamination symptoms from exposure. The hospital’s Maintenance department and other staff members will set up the decontamination tent in the parking lot next to the Emergency Room. Soon after the mock patients’ arrive, the decontamination process will occur. Hospital patients will not be affected and patient care services will continue as usual. Approximately 25 individuals will be part of this training and will include hospital personnel from the Emergency Department and other areas, as well as volunteer nursing students from the Hawaii Community College in Kealakekua. After the event, a full action review will be conducted evaluating the pros and cons of the exercise, along with action steps to improve the process for the future. Founded in 1914, Kona Community Hospital is a 94-bed full-service acute and long-term care hospital with 24-hour emergency services that supports the west region of the island of Hawaii. It is a member of the Hawaii Health Systems Corporation, a special agency of the state of Hawaii established in 1996. 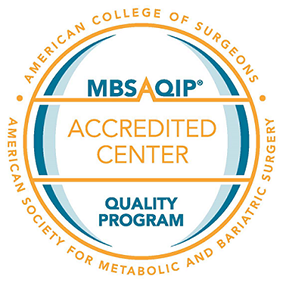 It is fully accredited by the Joint Commission on Accreditation of Healthcare Organizations. KCH is dedicated to providing and enhancing accessible comprehensive healthcare services to the West Hawaii community.